The Vale Press was the first private press to dispose of its type by throwing the punches into the River Thames, an example that was followed a decade later by T.J. Cobden-Sanderson, and ultimately by Esther Pissarro (crossing the Channel). The lead of the type itself was too valuable to throw away, the types were melted down. 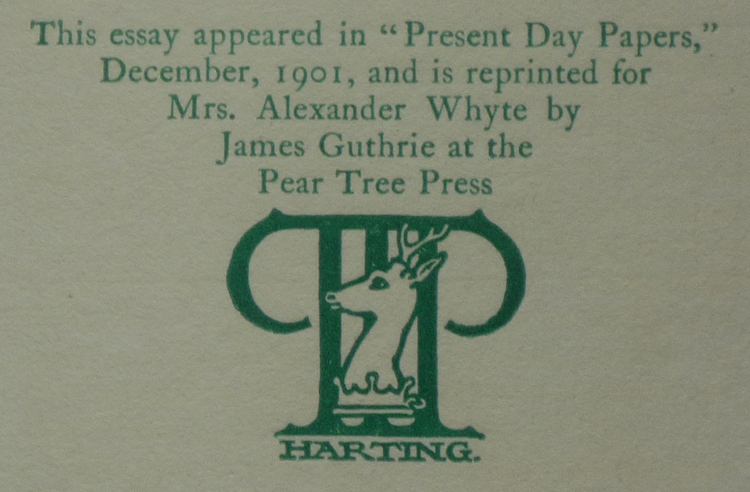 The paper stock was another matter to deal with; apparently Ricketts sold the paper to James Guthrie of the Pear Tree Press, who used it for a few books and announcements. 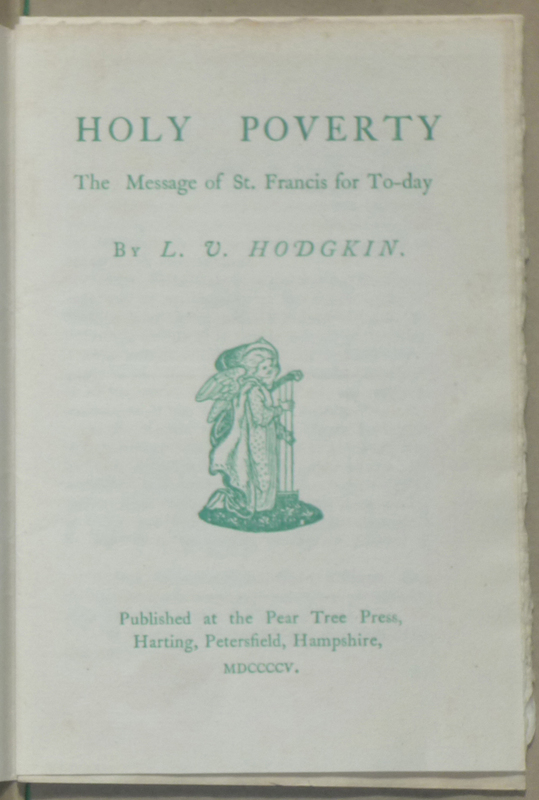 One of these was a pamphlet by Lucy Violet Hodgkin (1869-1954), Holy poverty. The message of St. Francis for to-day, which was published at the Pear Tree Press in 1905. In The Vale Press. 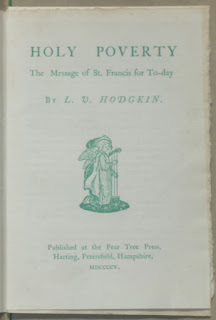 Charles Ricketts, a publisher in earnest, Maureen Watry writes (footnote 93) that Holy poverty, and an announcement for E.P.P. 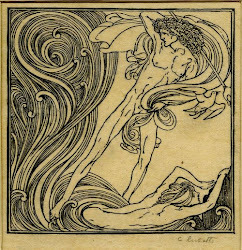 Macloghlin's Poetry (1905) were printed on Vale Press paper bearing the watermark of the mermaid, a paper Ricketts had designed for his Shakespeare edition. 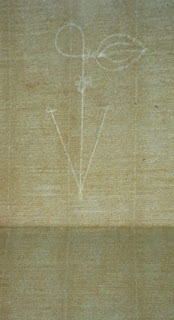 Macloghlin's book of poetry was printed on paper bearing the Vale Press watermark. The copy I have seen of Poetry was indeed printed on that paper. 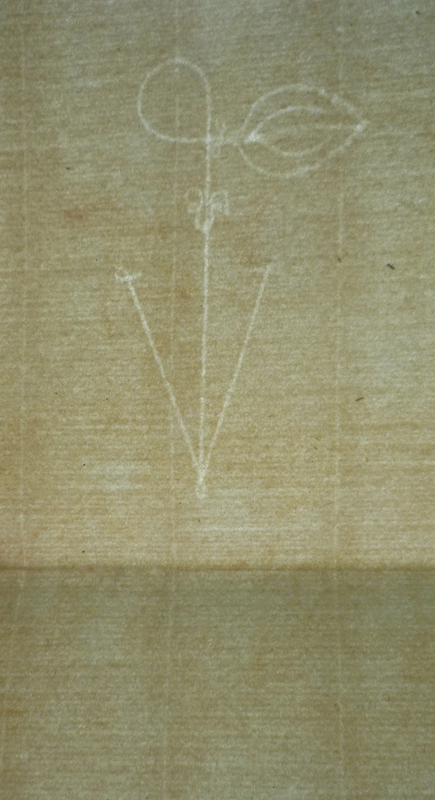 However, a copy of Holy poverty that came to my notice was not printed on mermaid paper, but on Unbleached Arnold paper with the Vale Press watermark. 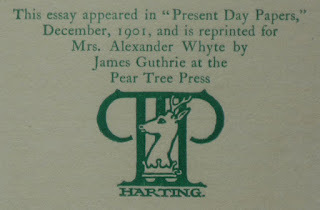 Guthrie may have printed the edition on a variety of papers, of course; please mail me the Vale watermarks you find in your copies of Pear Tree publications.